Okay, so I've been sitting on this one for quite a while now, late June to be specific. I've certainly been Distracted. Seth Swirsky's Watercolor Day is a wonderful album. It has everything you hope and expect from a true power pop outing. 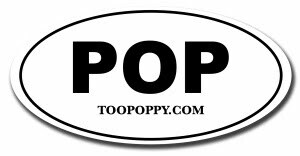 If you read this blog, you'll love this album, and that's a Way2Poppy Guarantee™. Lots of great guitars, harmonies, pianos, trumpets and even a clarinet or two. Standout tracks include the ambitious Movie Set, title track Watercolor Day, and delicious I'm Just Saying, to name just a few. I highly recommend the full album purchase. I'm definitely will be checking out his other outings, Instant Pleasure and She's About To Cross My Mind (as part of the pop duo The Red Button).